YOUR COMPUTER IS INFECTED. 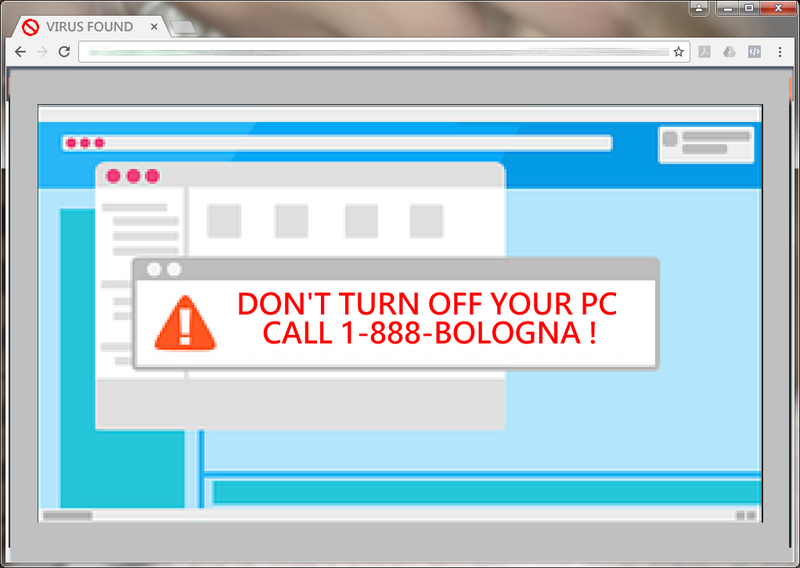 DO NOT TURN OFF YOUR COMPUTER UNTIL YOU CALL THIS NUMBER: 1-800-BOLOGNA. People. It is a waste of your time to call that number or any like it. IT IS NOT TRUE. There is no problem with your computer. 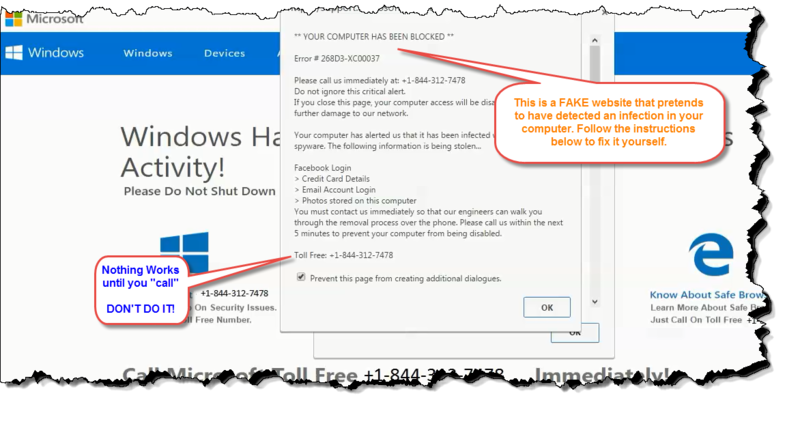 You have landed on a web page specifically designed to trick you into calling a Fake tech support professional. Who by a few magical clicks of the mouse, will “fix” your computer. $600 and 2 hours later, after “they” make you feel afraid for your life, you will be angry. You will feel stupid and degraded once you find out you have been taken. 1) hit the [Ctrl] + [Alt] + [Del] keys, all once. 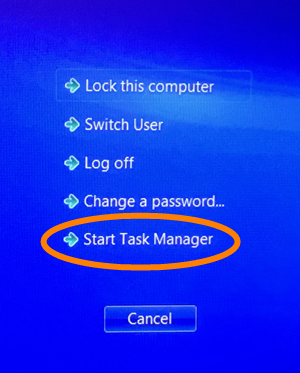 2) Select “Task Manager” from the list. 3) Right-click on the name of your browser. 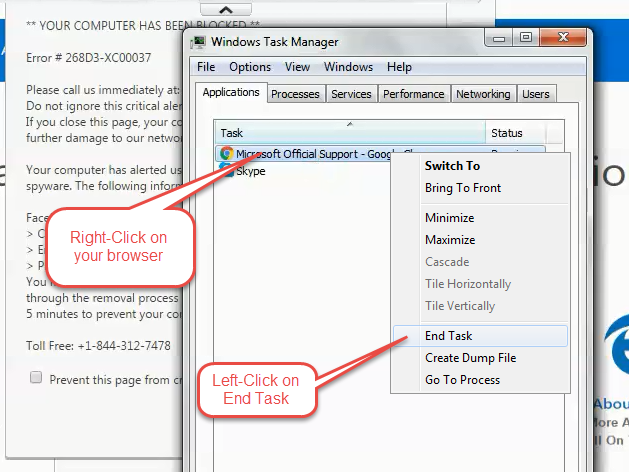 Close the task manager when the “warning” web page has closed. Friend, I wrote this quick tutorial for you because I am tired… no, tired is not the word. Angry! That’s the word. I wrote this because I am angry that Overseas Tech Support Shops are using unethical business practices to drum up business. 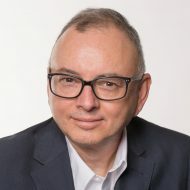 Instead of providing value to their customers and building a relationship of trust first then asking for a value added transaction, they resort to taking them hostage and extort money from them. If you got value from this post, please hit one of the buttons below and share with your friends. Thank you Juan. I’ve noted it for next time. That’s some of the best info ever. Thank you, I have fallen into this before. I wish I had a one way computer destruct button just for these guys. THANKS JUAN!! Your Info is always great!! Always good advice from “Super Techie”. Juan, you are the best. Thank you Juan! you are awesome! Click on the Apple menu, Select “force quit”, then force quit your Safari, Chrome, Firefox, or whatever browser you have frozen.